There’s a whole lot of empty up in northeast Montana. And that’s how people like it, I’m told. 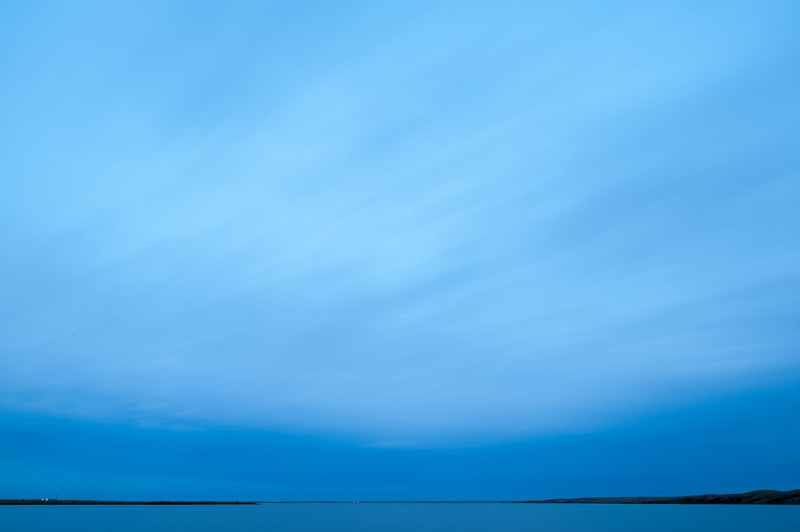 Medicine Lake is a town, a body of water, and a national wildlife refuge. I was lucky enough to be sent up there a few months back for Montana Quarterly magazine. 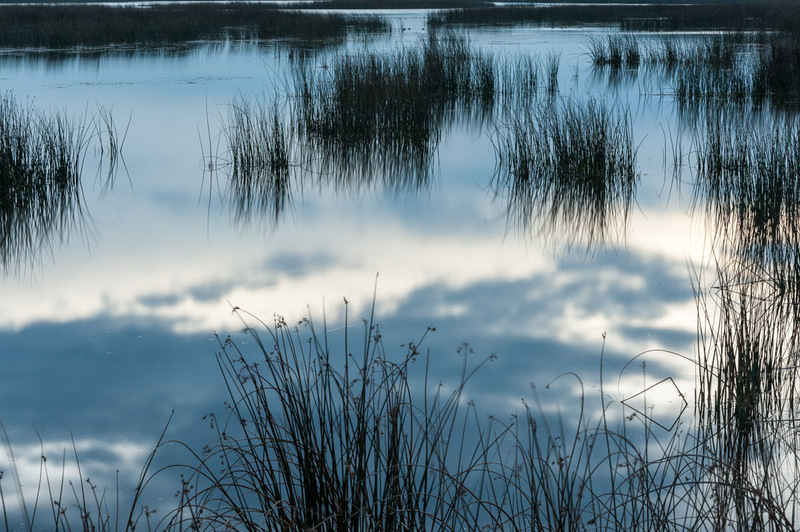 The wildlife refuge was established in 1935 to provide breeding and stopover habitat for migratory birds. Medicine Lake the town touts its outdoor recreation, the ample wildlife, but the nearby Bakken oil field is seeping into its economy. 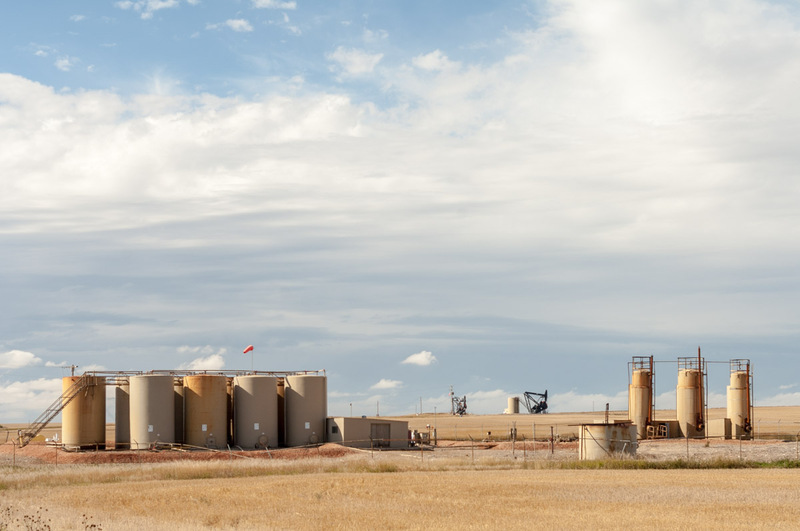 Oil, a part of the economy of northeast Montana since the 1950s, has played a much bigger role in the last five years. And that brings something of a boom to Medicine Lake, attracting new people, new trades. 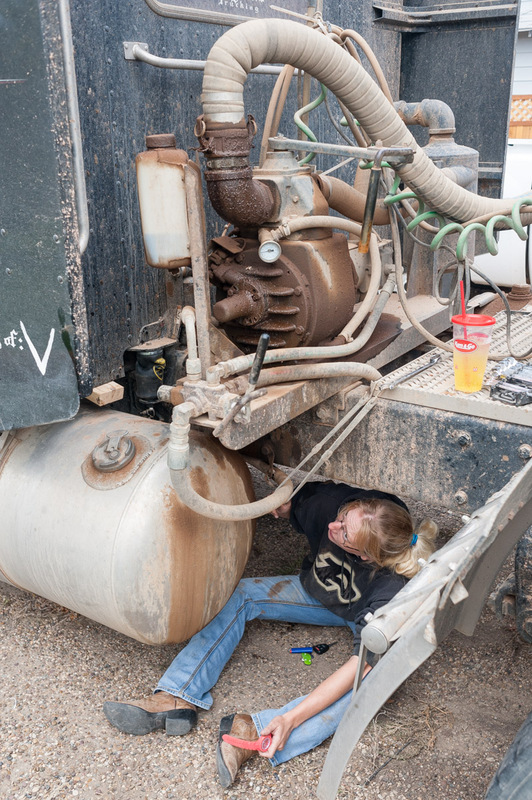 This is Edie Burris working on one of the Wignall’s Trucking rigs in Medicine Lake. The trucks haul water in the Bakken oil fields. “They welcome everybody here,” says owner Bart Wignall, who moved his water-hauling to Medicine Lake from Utah four years ago. “They made us feel part of the family,” he says. Donna Swain manages Medicine Lake Supply. Swain says she came to Medicine Lake 2007 to visit a friend. “In those 10 days, I got a job, I rented a house, opened a P.O. Box, went home, put my two weeks in and moved straight back. Me and my 10-year-old.” She says she bought her house for $28,500 in 2008. It was appraised at $76,000 in 2011. Sandra Trupe, left, manages the Honker Pit restaurant and Jodie Fuhrer, right, is her assistant manager. Trupe, a lifelong Medicine Lake resident, met Fuhrer when Fuher and her husband moved to town recently. They say they quickly became fast friends. Fuhrer says her husband commutes to Williston, N.D. every day to work in the oil field. She adds he turned down a promotion that would have required moving to Willistown. 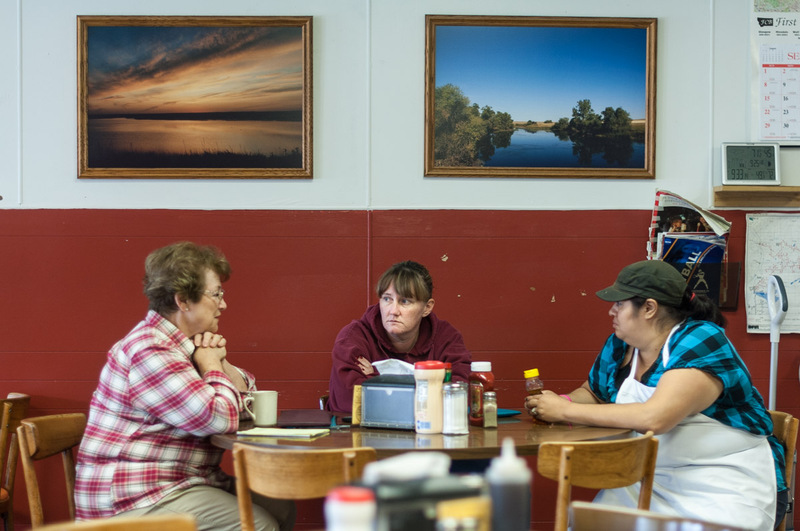 From left, Betty Hendrickson, one of the 15 owners of the Laketonian Cafe, confers with manager Jennifer Clarendon and cook Monica Nelson inside the cafe. Clarendon, 37, said she took over the cafe less than two weeks earlier, after leaving a waitressing job in Plentywood. Raygen Metcalf, 9, plays tetherball after school. As the oil industry brings more people to Medicine Lake, it also brings more children to the school system, though some say not many. But northeast Montana is still wheat country. Even the folks camping in Medicine Lake aren’t all working in the oil fields. 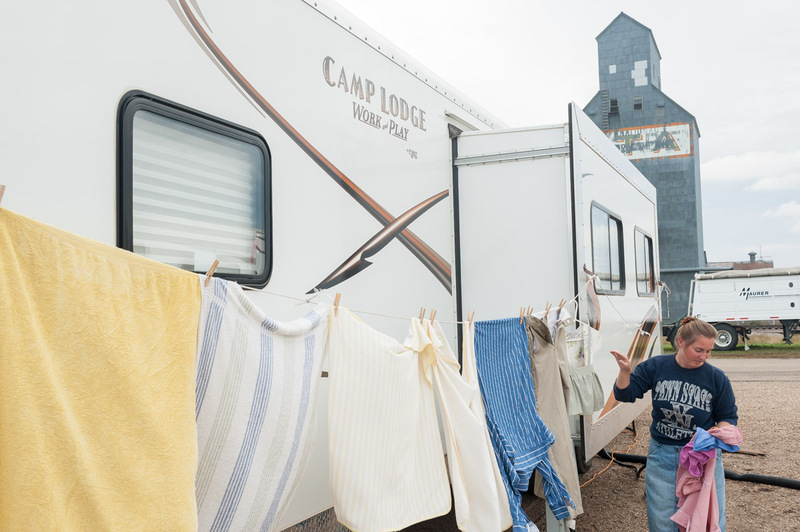 Mandy Hege takes in the Amber Waves Harvesting custom cutting crew’s laundry from around one of their campers. 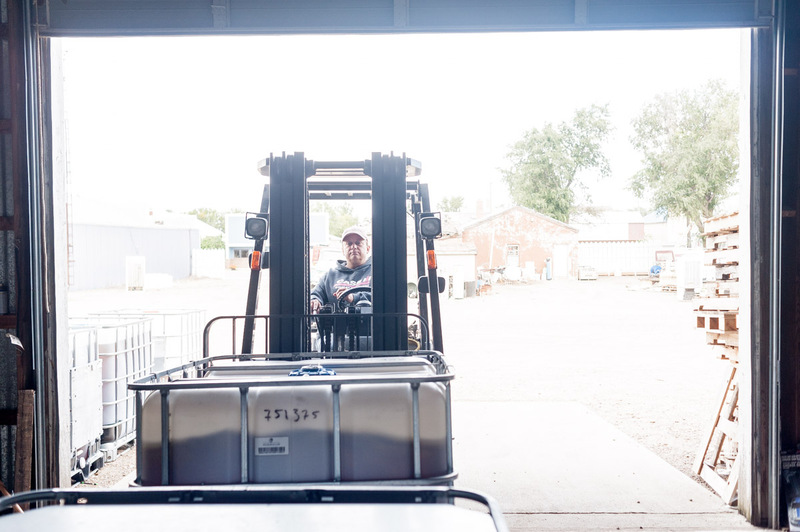 Hege says the company, based in Malta, bounces around between Texas and Montana with its 10 custom harvesters and was in Medicine Lake to harvest wheat for a couple of weeks. Booms come and booms go. Long-time residents like the Smith family have a rich history on this land. 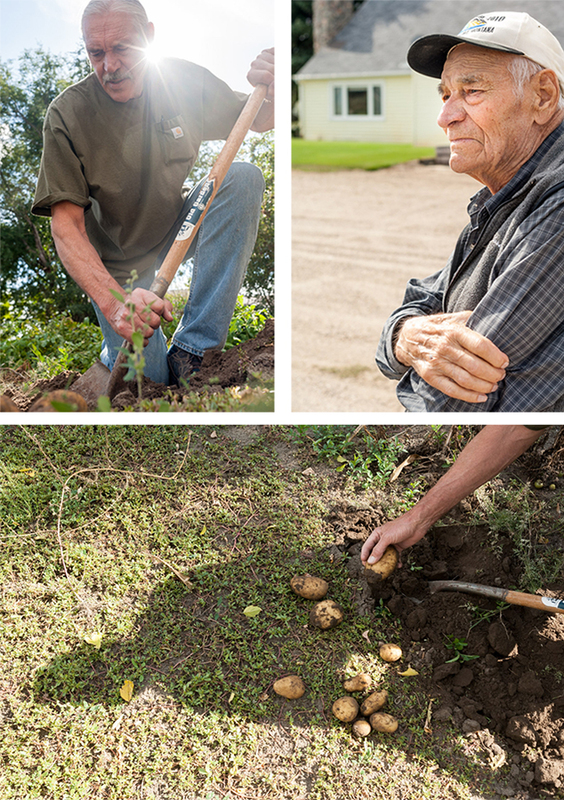 Above, Doug Smith, a Sheridan County planner, digs up a few potatoes in the family garden. 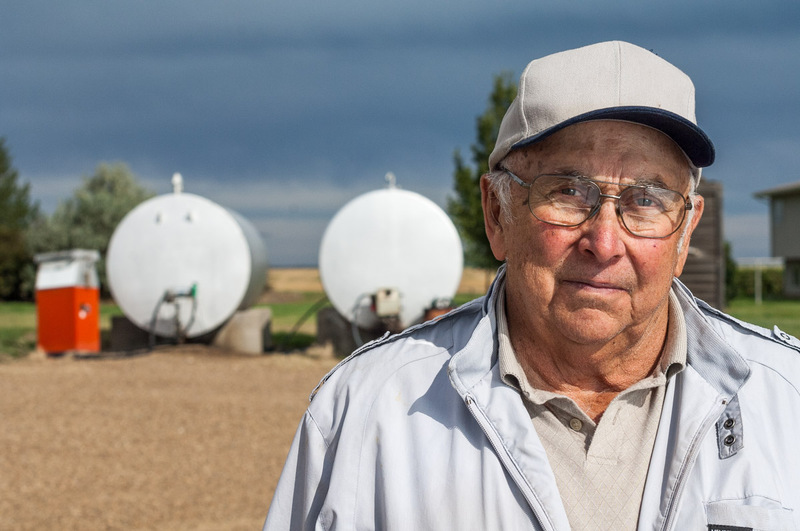 Doug lives on the family farm with his brothers, their families, and the family patriarch, Big Ed Smith, 93, who grew up on the farm his grandfather settled in 1903 and got his nickname as a 6-f00t, 5-inch pitcher for the Dagmar Danes baseball team. Thank you for your story about my beloved hometown. And especially the photos. It is pretty special, isn’t it? Sure is, Susie. Thanks for your comment. Great article as I spent much of my youth there as my mom is from there and my uncle’s farm was next to the Smith place so I have been over there. Thanks, Mike. Great to hear from you. I really enjoyed meeting the Smiths. I met Doug on an assignment some months earlier and he was kind enough to give Al Kesselheim and I a tour of the country surrounding Medicine Lake and Plentywood. A very smart, thoughtful man. Love Medicine Lake! Thank you! Happy to, Cynthia. Thanks for the comment! Nice story. Medicine Lake will always be my hometown. I moved to a neighboring town 12 years ago after living there for 15 years but my roots are still there. I grew up on a farm just east of Big Ed Smith where my Dad and brother still farm. I am always proud to say I am from Medicine Lake. Thanks, Wayne. Another tie to Big Ed! He’s quite a character. I would have liked to see him pitch. Wonderful article,I was raised in Medicine Lake, I have lived in Plentywood most of my life,but Lake will always be home, Go as often as I can to see the sights and remember the fun I had growing up there. 30 kids in High school now, there were 36 in my class of 1971. My maternal grandfather was an early settler to Medicine Lake, when the town was Flandrem, and my great-great grandmother was Mary Bedford who ran Bedford House, the half way house between Lake and Culbertson. Love the pictures. Thanks so much for your comment, Janelle. 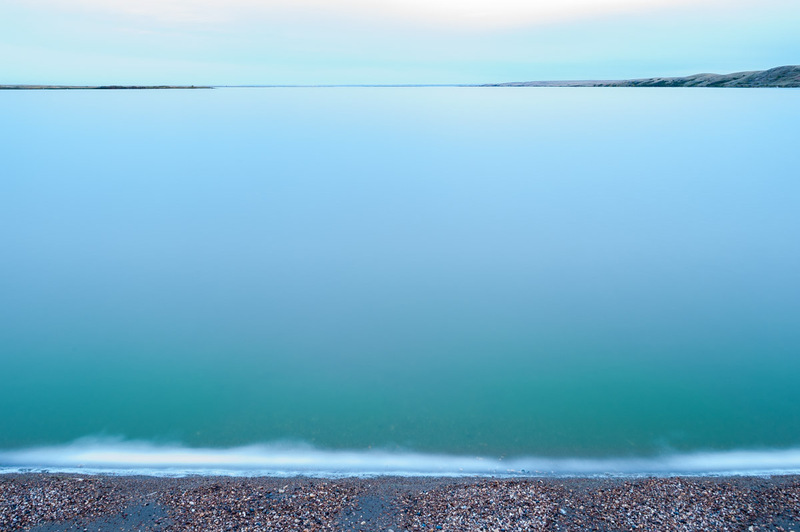 Wonderful insights into Medicine Lake. Wish we had talked to you for the story! What a great story. Loved seeing Big Ed Smith, my Mom use to babysit his kids when they were little. Didn’t take long before they were bigger than she was. Medicine Lake, a name I will always remember. It is the town I grew up in, went to school there, my dad moved there with his folks when he was a little boy. They came with the allotments and he and his siblings all had their quarter of land. He was one of the best farmers in that area. Him and his wife Mary, were turtle Mountain Chippewa and very proud of that fact. Sweede Tufton, my husband, and I raised our 5 children there and they all went to that school also. Medicine Lake will always have a place in my heart. I too grew up in Medicine Lake and return from time to time to see old friends who still live there. Loved the pictures and brief descriptions of people and places still so much a part of my life. I have some names most people in the east side of the state know that have one of the longest ties with Medicine Lake Ralph and Dolores Spencer. They are my grandparents and my father Tony and his brothers Robert and Frank grew up there and were Medicine Lake graduates. I know we still have many relatives in Medicine Lake for which names I can’t remember. My grandparents as well as our mom are buried in the cemetery there on the east side of town. Unfortunately our father passes away this past April and is buried in Desoto, TX next to our Brother Joshua. Ralph and Dolores moved to Plentywood after the boys graduated “Go Honkers” and that is where my brothers and I have a lot of fond memories as well….and lets not forget about Outlook, Sidney, Kalispell, Missoula and Big Fork where we have more family. We still have the land in Medicine Lake and along with the cemetery and Plentywood just down the road we will be back.